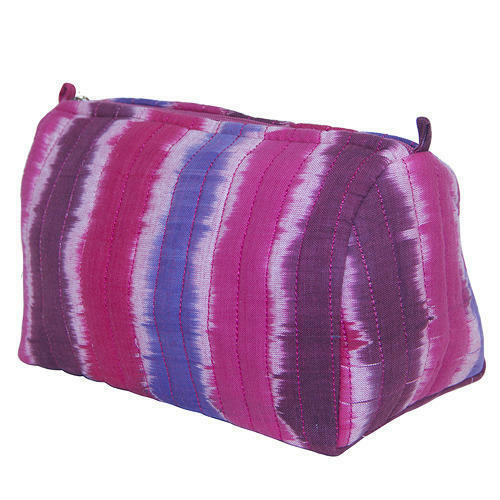 We are the manufacturer of Multi Color Travel Pouch. Raaa since 2015 has gained regard among the prominent manufacturers, exporters and wholesalers of best quality Canvas Satchel Bag, Unisex Canvas Bag, Hobo Handbag, Travel Pouch, Ladies Clutch, Ladies Tote Bag etc. The offered range is designed from high-quality material with the assistance of our experienced designers. Our offered range is highly acknowledged by our clients for their homogeneous quality, high strength, shrink resistance, attractive design, lightweight, user-friendly, low-cost, unique pattern and perfect size. In addition to this, the offered bags are marked at the most affordable rate possible. We are also engaged in service providing of Ladies Bags Designing Service.